Kate Moss's '70s-inspired style was going strong long before the world became sartorially obsessed with the decade. One of her key pieces, a skinny scarf, has been adorning the necks of every fashion girl this year, making it fitting that Moss's friend Tim Rockins decided to start a line of silk scarves after gifting them to his friends, one being Moss. The line of long skinny scarves, appropriately coined Rockins, are now stocked at heavy-hitting e-tailers Net-a-Porter, Shopbop, and Matches Fashion and have been worn by Moss, Rosie Huntington-Whiteley, and Chloë Grace Moretz since launching earlier this year. Featuring sumptuous floral patterns and fringe, they're a one-way ticket to emulating Kate Moss's vintage rocker vibes. 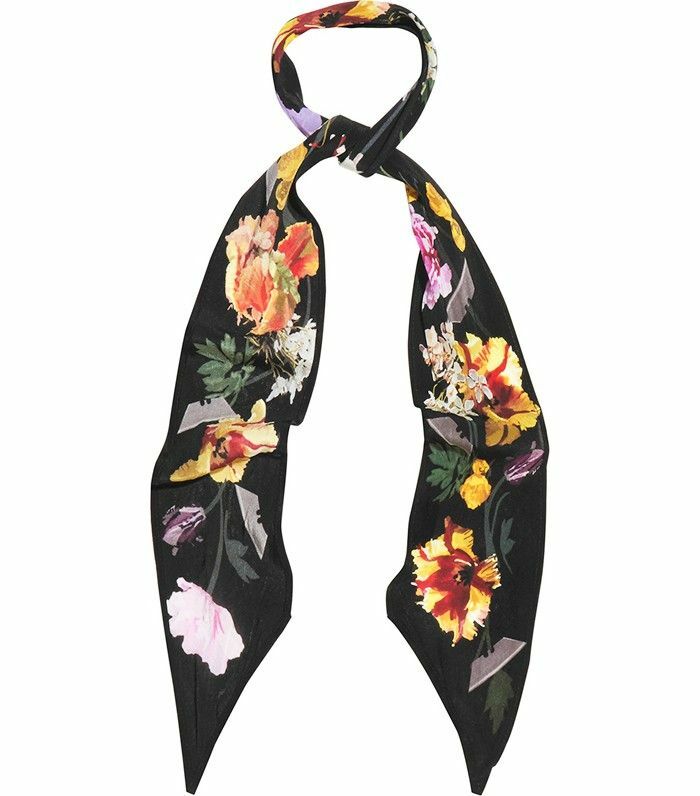 Scroll down to shop a few of our favorite Rockins scarves! Have you jumped on the skinny-scarf bandwagon? Comment below!